Catch all the latest Android and Google news at TNW Google. There’s nothing quite like a few leaks to ruin a perfectly good surprise, and the Galaxy Nexus as well as Android 4.0 Ice Cream Sandwich have been getting rained on as far as secrets go. But now, at least, it’s official. 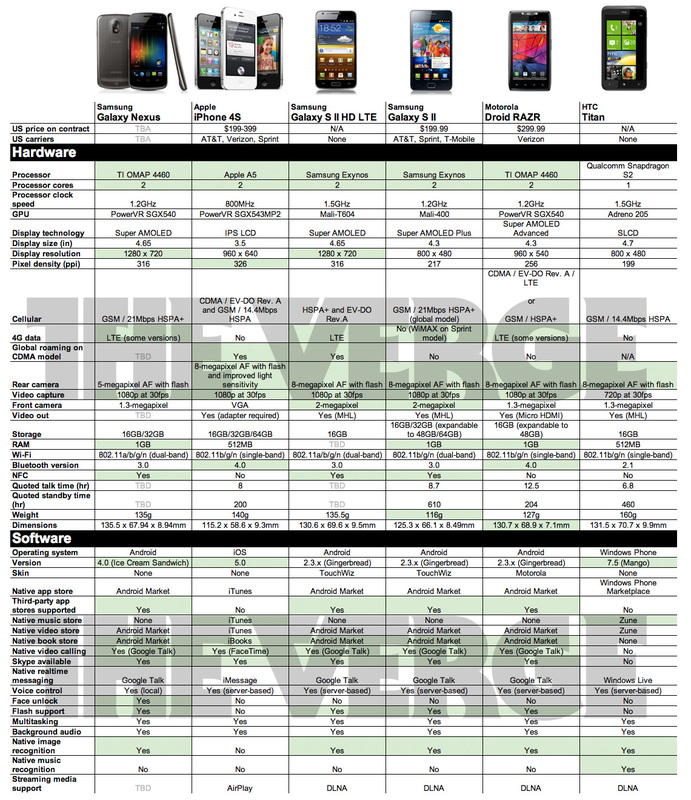 Samsung and Google have announced, in an event being held in Hong Kong, the latest Nexus phone dubbed the Galaxy Nexus. If none of this is coming as a surprise to you, that’s likely because you’ve been following along for the past few days. You see, the event was initially supposed to happen on last week during CTIA Enterprise and Apps in San Diego. Then, shortly after the news of Steve Jobs’ death, it was announced that the event had been cancelled. We got word that a follow-up event was scheduled in London for the 27th of October, but then just 6 days ago we heard that Ice Cream Sandwich would be unwrapped in Hong Kong. To coin a phrase, what a long, strange trip it’s been. But that’s not the end of the story. In fact, we have to rewind all the way back to the 7th of this month when we first saw the Galaxy Nexus (at that point understood to be named the Nexus Prime) caught on video. Then today, to top it all off, Japanese mobile operator NTT Docomo manages to leak the promo material for the phone, confirming the specifications that you see above. Oh, and then Samsung actually pushed the big go button on its own site 2 hours previous to the event, allowing a search for Galaxy Nexus to give at least a landing page with results, even if there were no fine-point details. Now that you’re caught up on the history lesson, let’s talk about the future. 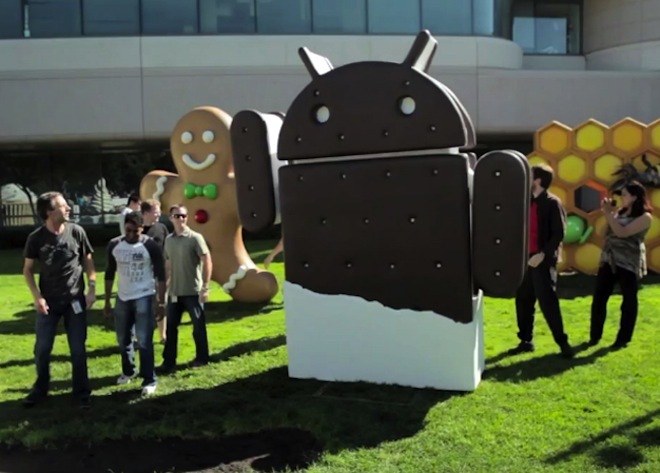 Android 4.0 brings with it some major parts that people have been waiting to see. Namely it is the convergence of the best of what Honeycomb brought to tablets with everything that Android has done right through the Gingerbread release. Most notably 4.0 brings Android in line, at least in practice, to how iOS works – one operating system across all mobile devices, be they smartphones or tablets. That’s not to say that either Android or iOS is inherently better than the other, it’s simply a matter that Google has done its homework in the tablet world with Honeycomb (you remember all of the first-generation Android tablets and how terrible they were, right?) and now it’s ready to roll out a more universal operating system. Launches in November – NTT Docomo in Japan, launches in the US and UK as well. HSDPA and LTE – The phone will have two lives, meaning the US buyers should see it on Verizon’s LTE network, but it might hit AT&T as well, “depending upon demand”. A new interface – 4.0 takes on the Honeycomb look, with Apps and Widgets being 2 dedicated tabs at the top. From there you can assign apps or widgets to any of your homescreens. The default apps “drawer” is now broken into pages which you will swipe right to left. USB Hosting – You should be able to use USB keyboards and controllers with 4.0 devices. Facial Tracking – This feature, first demonstrated at Google I/O, allows the camera to automatically track your face. Improved Camera & Interface – The spin-up time and speed of the camera has been a gripe of many on nearly all Android phones. According to what we’ve seen, that’s no longer the case, and a new interface looks incredibly slick. Sliding your lock screen to the left goes directly to the Camera app. Built-in panorama photography is also included. Built-in Photo Editing – Includes filters, automatic touch-ups, cropping, red-eye reduction and angle changes. Changes are saved as a version of the original. Improved Gallery – A magazine-style gallery, organizable by faces, location, date and more. Video Features – Zoom while shooting, time lapse. 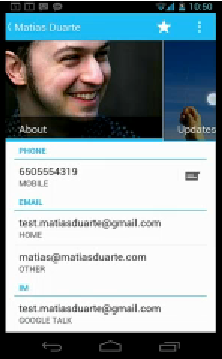 Improved Contacts and Sharing – “People” app is an “evolution of contacts”. Interestingly, it looks much like Windows Phone. Android Beam is a peer-to-peer, NFC-based sharing solution for your contacts. Touching a phone to another with Beam enabled will automatically share what you’re looking at on your screen, be that something in the browser, a Google Map or a contact. Application beaming is enabled as well, and an API will be available to let developers enable Beam with their apps. Improved Folders – You can now create a folder with your favorite contacts or content. Face Unlock – Facial recognition can be used to unlock your phone. Automatic Bookmark Sync – Android 4.x will sync with your Chrome bookmarks. Improved Gmail Interface – It’s very similar to the tablet version, with a live preview and an action bar across the bottom. Contacts that you’re emailing are now called “chips”. Tapping a chip will bring up the different email addresses for the person. Offline search will take you through 30+ days of past messages. Data Usage – Shows overall and projected use of cellular data, including warnings that the user can set themselves. Automatic cutoff of mobile data is also included. Data use by application is included in this new section and you can turn of background data per application.